As a songwriter and string player, I considered how the pieces on this album could best live together and share a common sonic space, and yet allow each song and tune to tell its particular story. My songs are inspired by events or moments when something unusual or unexpected happens and makes an indelible impression. A melodic fragment or a few written lines come as an entry point, and then the real work of writing a song begins. Most of the instrumentals here first began as favorite duo or trio live performances with individual musicians. The song arrangements also took shape as a collaboration of voices, timbres, and sounds that often created surprising results. I hear an elegiac quality in these songs and tunes. With more years behind and fewer ahead, there is an opportunity for reflection. Yet it can also be a time for celebrating the possibility of life beginning again—a first song, in spite of overwhelming odds. Other musicians contributing to this album are Christos Govetas, Luke Plumb, Eliot Grasso, Bill Lanphier, Joel Bernstein, and Will Dowd. Multi-instrumentalist and singer Christos Govetas joins Stanley on clarinet, oud, daouli and bendir for this recording. Christos was born in the village of Proti in the province of Serres in Greek Macedonia. After emigrating to Boston in 1978 he joined a variety of music ensembles in the Boston area, performing Greek rembetiko, folk and classical Turkish music, and regional Balkan music. He has performed extensively in the U.S., Canada and Greece and taught and performed Greek regional music in Balkan and Middle-Eastern Music and Dance Camps on both the east and west coasts of the U.S. Christos is currently a member of the nationally known bi-coastal band Ziyiá, the Grammy nominated Bill Frisell's Intercontinental Quartet, and performs regularly with Pangéo and Drómeno in the Seattle area. Luke Plumb emerged onto the Australian music scene in 1998 and was immediately recognized as an exciting new talent. He won the Declan Affley Award that year and became a regular of the festival and session circuit in Australia. Equally at home playing melody on the banjo and mandolin or accompaniment on the bouzouki and guitar, his skills as a session musician saw Luke playing with musicians from many genres around the country. While on a tour of Australia, the Scottish group Shooglenifty recruited Luke for a gig in his local state of Tasmania. This chance meeting led to a full tour of Australia and an invitation back to the UK to join the band full time. Since then he has toured the world, playing and teaching with Shooglenifty. 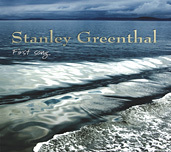 A keen composer, his tunes make up most of the latest Shooglenifty album. His solo debut A Splendid Notion was released on Shoogle Records in 2009. 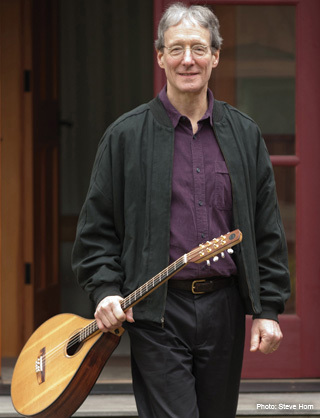 Innovative musician, researcher, and teacher of ethnomusicology and Irish traditional performance practice, Eliot Grasso has taught and performed extensively in North American and Europe. His solo performances on uilleann pipes and flute include Piping Live! (2010), Glasgow's international piping festival, and the William Kennedy International Piping Festival (2009) in Armagh, Northern Ireland. Eliot has also performed for the National Endowment for the Arts Awards, the National Heritage Awards, the Washington Cathedral Art Symposium, The American Ireland Fund, and toured the British Isles with the Oregon Chorale under the direction of Bernd Kuehn. Eliot has accompanied Irish-American fiddler and National Heritage Fellow LizCarroll at the Kennedy Center, Global Distinguished Professor of Music and Irish Studies Mick Moloney at Constitution Hall, The Chieftains at the Joseph Meyerhoff Symphony Hall, and Cherish the Ladies at the Library of Congress. Grasso has collaborated on many diverse recording projects and launched an album of solo uilleann piping, Up Against the Flatirons, commissioned by Na Píobairí Uilleann, the Pipers Club in Dublin in 2007. Grasso's recording of unaccompanied uilleann piping is volume 1 of Na Píobairí Uilleann's series of master pipers, The Ace and Deuce of Piping. First a pianist and then a drummer, Bill Lanphier switched to bass at the age of 19. His playing has been heard on hundreds of international radio and TV commercials. Bill has recorded with the Rippingtons, Richard Carpenter, Harry Chapin, and Stephen Stills. He's performed live with Madonna (the 1985 Virgin Tour and Live Aid), Tom Scott, Kenny G, David Foster, Michael Bolton, the Chicago Symphony Orchestra, Art Garfunkle, Linda Ronstadt, and Rickie Lee Jones. Additionally, Bill is one of the most in-demand Balkan bassists in the USA, and has appeared on stages worldwide with several renowned Bulgarian artists including Ivan Milev, Georgi Petrov, Nedyalko Nedyalkov, Yasko Argirov, and Greek multi-instrumentalist and singer Christos Govetas. Also a writer and educator, Bill's work has been published in Bass Player, Bass Guitar, Bassics, Bass Musician Magazine, World Book Encyclopedia, National Lampoon, and Hal Leonard music publications. His playing and compositions are featured on the highly acclaimed and top-selling instructional video, "The Slap Bass Program." Bill teaches privately via Skype video from his home in Northern California. Joel Bernstein is a master player of the concertina, fiddle, harmonica and 5-string banjo. Joel has several CDs to his credit on Foxglove Records, and numerous guest appearances on recording projects. His music was featured in the soundtrack for Chihuly Over Venice, the video documentary of glass artist Dale Chihuly's work. Joel has performed his unique blend of traditional Irish and American Appalachian music at festivals and venues in Europe, the U.S. and Canada. Drummer/percussionist Will Dowd studied Jazz at the New England Conservatory of Music and the Berklee School of Music. He has performed with Amy Denio, The Billy Tipton Memorial Saxophone Quartet, Global Village, Christos Govetas, Linda Waterfall and Orville Johnson. Will has toured Europe and Africa, and has performed on over 70 album projects and film scores. In addition to his work as a percussionist, Will has produced, recorded and engineered albums for various artists including Seattle based Shakuhachi flute master Peter Ross, Jessica Lurie, Reggie Garrett, Carrie Clark, and Christos Govetas. As a composer Will has scored promotional videos for numerous Seattle area colleges, and an hour-long yoga instructional video for internationally famous Yoga instructor Ana Forrest. Downloadable audio samples are MP3s, about 1 MB, 60 seconds each and open on another page if clicked. If you have Flash enabled, simply use the player.